The laws governing premises liability claims outline specific guidelines depending on the nature of the property on which you or your loved one was injured. This includes municipal sidewalks, roads and other publicly maintained paths or parks. 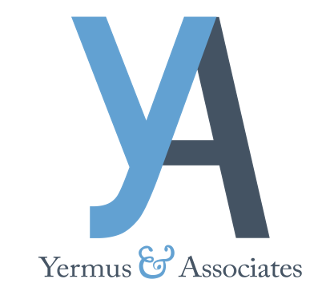 Yermus & Associates, and his legal team can help you navigate the nuances of the personal injury claims process. We focus our attention on helping clients through each step in the process in the most efficient manner possible. In most personal injury claims, injured individuals must be able to demonstrate that a particular defect or personal negligence was responsible for their accident. If you were injured in a slip-and-fall accident on a municipal sidewalk, you must provide a written notice of the alleged sidewalk defect within 10 days of your accident in order to make a claim from the municipality. This can be especially important in cases involving improper snow and ice removal, where the evidence may melt before investigators can verify the cause of accident. Timeliness is important in any personal injury claim, and this requirement is just one example of the specific complexities of recovering compensation from a public entity. We will advise you of the various laws and regulations that may apply to your case while seeking compensation in the most efficient manner possible. When you or someone you love has suffered injury on a city sidewalk, we can help you understand your rights in making a personal injury claim. Contact our firm by calling 416-229-4878 (HURT) for a free initial consultation with our Toronto municipal sidewalk falls lawyer.